Growing up the youngest of 11 children in rural Southern Ohio, I was always infatuated with animals and can't really remember a time when I didn't want to be a vet! Fortunately, my mom was an animal lover as well, so there were plenty of critters to bond with throughout my childhood. Many an afternoon was spent playing with the dogs, eventually a horse, and a plethora of other species, in the acres and acres of woods behind our house. Luckily, I was also born with a healthy interest in science and medicine, so the long path to veterinary school wasn't as daunting as it could have been. Wanting to experience what veterinary medicine was really like, as well as to start saving for college tuition, I started working as an assistant in a small animal general practice when I was 16. This exposure only whet my appetite to trudge forward! I worked at that clinic through high school and my undergraduate days. As an undergrad, I also worked at a second clinic during summers and holidays; it was an internal medicine specialty practice. My summer days were 8-2 at one clinic, 2:30-8 at the second, and in my spare time, I would hire myself out as a pet sitter. I was none the happier! My undergraduate classes were taken at The University of Cincinnati. But it was September of '90 that I hit the big time and entered The Ohio State University College of Veterinary Medicine class of '94! My first years after graduation were a learning curve to find "my place." I worked in a dairy practice in northern Ohio, a small animal clinic in Miamisburg, back to the north to a practice in Kent, and then finally found home here in West Milton. I was the lucky person to discover that Dr. David Hayes was ready to let go of the stresses of owning a practice. It was exciting, albeit a bit daunting, knowing how well he was liked and respected in the community and rightly so. But West Milton was and is welcoming, and when I took over the practice on May 1, 2000, I was on top of the world. When our clients and patients visit the clinic, they are often greeted by one of the cats that call the clinic home, or one of my family of dogs that accompany me to work. When I go home, I am well cared for by my 7 cats, 6 dogs, 2 Pygmy goats and a Vietnameses potbelly pig. Every day is an adventure for us all! Even after more than a decade of owning my own practice, the learning curve continues! Over the years, we've grown and tweaked, and will continue to do so, trying to make our clinic a place where people know we are passionate about what we do for you and your pet. 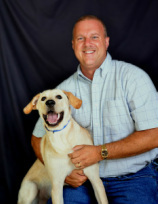 Ray has been with the West Milton Veterinary Clinic since the beginning of 2011 and serves as the Business Manager. He studied law enforcement at Sinclair Community College in the early 1980’s. Ray also graduated as an Emergency Medical Technician from Good Samaritan Paramedic Education. Most of his career has been spent in management. Ray lives in the West Milton area with his wife Sheri. They have a Labrador retriever and a Chiweenie (A cross between a Chihuahua and a Dachshund), both of which love to run and play. Both Ray and Sheri enjoy hiking, backpacking, kayaking and most outdoor activities. Autumn has been working as a Receptionist since October 2017. At home, she enjoys her reptiles, cats, and her dog, Luka. Animals have always been a huge part of her life, and will always be. Autumn plans to finish school with a degree in Zoology. Outside of work she is a certified Dog Trainer, Color Guard Instructor, likes to spend time with friends and family, and loves going on adventures with Luka. Robin has worked at the clinic since December of 2001. She is a certified Veterinary Assistant and has a true love for animals. The care and compassion she has for animals is evident in her work. Robin also volunteers her time with local dog and cat rescues. She has 8 beautiful cats and one wonderful German shepherd. Brie, the newest four legged member of her family, is a French Bulldog and often seen at the clinic. Away from the clinic, Robin enjoys spending time with her husband, rooting for her son playing hockey and photography. Robin grew up in west Milton and has worked at the clinic since June of 2000. She loves and cares for all animals. Robin has a goat, along with several dogs and cats. The love and compassion Robin has for animals is reflected in her work. Robin has been married for more than 30 years, has a 28 year old daughter and a grandson named Koltyn. Robin enjoys spending time with her family and pets. Angel received her Associate of Applied Science degree in Veterinary Technology in May of 2018. Angel enjoys working with both large and small animals. She has worked at a small animal rescue, but also enjoys working with horses. At the clinic, you are likely to see Angel just about anywhere. She works at the front desk, takes medical histories in the exam rooms and assists wherever needed. Her best four legged friend is her dog, Molly. Rebecca is a graduate of Sinclair Community College’s Veterinary Technology program. She is the Lead Veterinary Technician at the clinic. Rebecca has always wanted to work with animals. The compassion and dedication she has is evident in all she does. Away from work, she enjoys spending time with her husband, Ike, and dog, Ellie Mae. 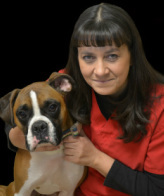 Ronda has been with the clinic since August of 1998. Ronda’s accomplishments are many. 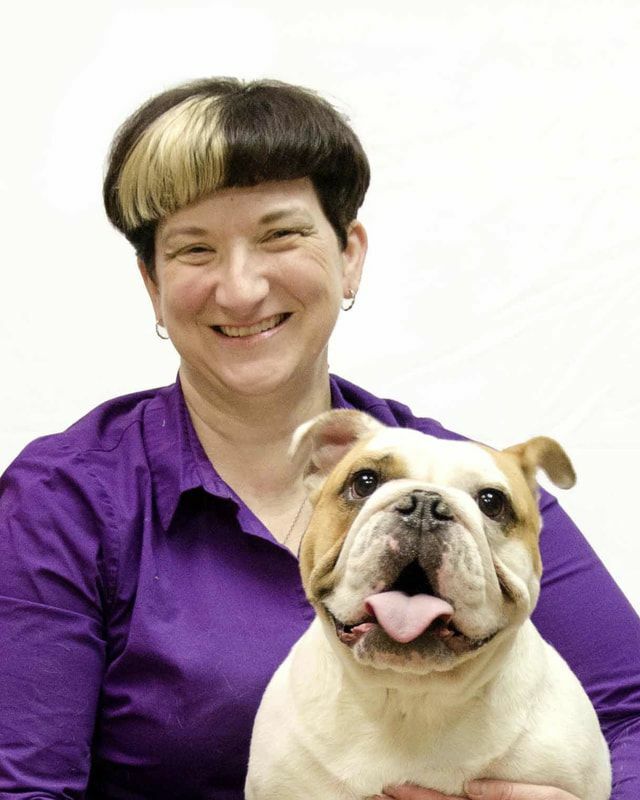 She received her Bachelor of Science in agriculture from the Ohio State University, her Master of Divinity from Bethany Theological Seminary, she is a certified Veterinary Aide and is working toward an Associate of Applied Science in Veterinary Technology. Her family consists of many cats and chickens and her Bulldog, Frankie.